Reassurance shield after the 27A interchange. 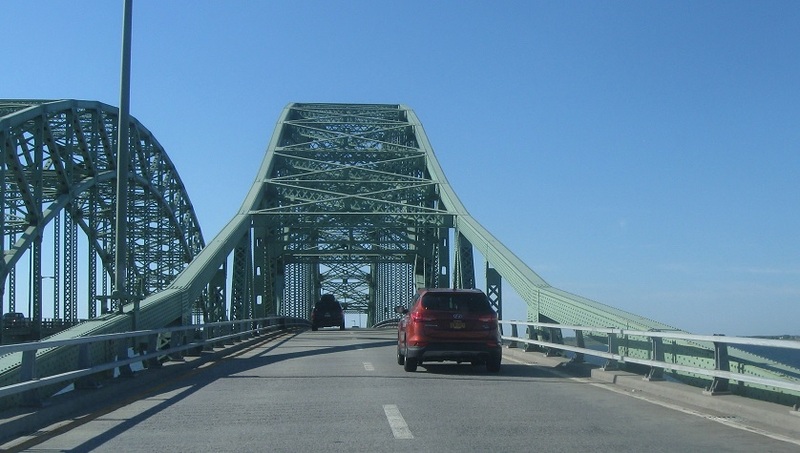 Before we cross to the barrier islands, we’re three miles from the Ocean Parkway. 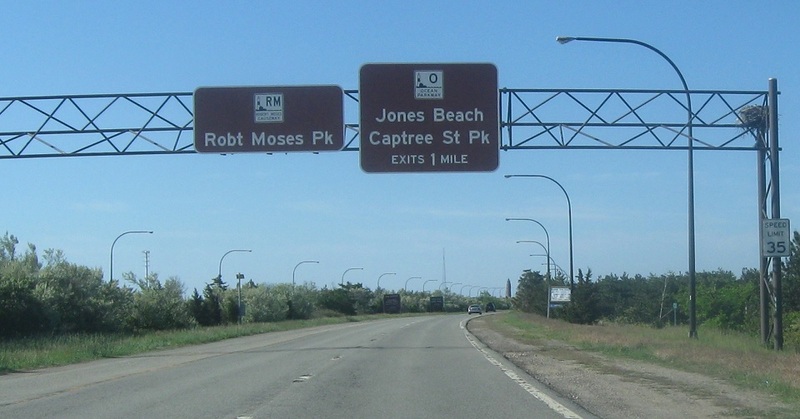 The causeway to Jones Beach Island. 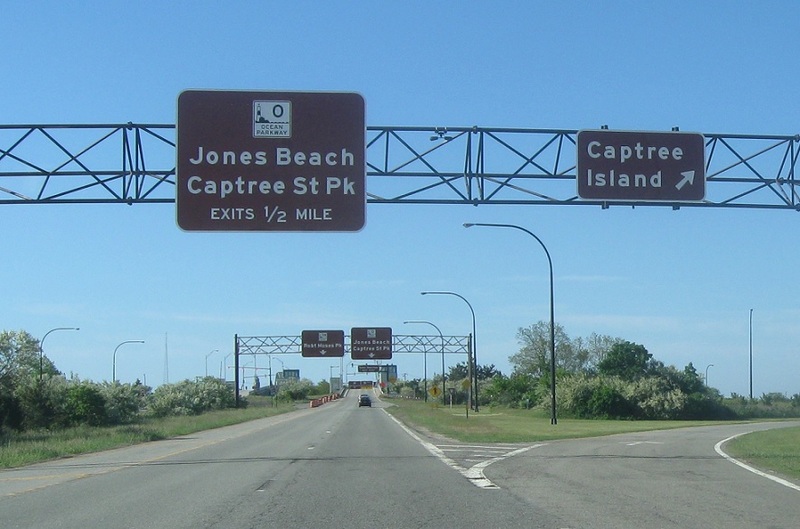 After we cross to Jones Beach Island, we’ll quickly approach the Ocean Parkway. 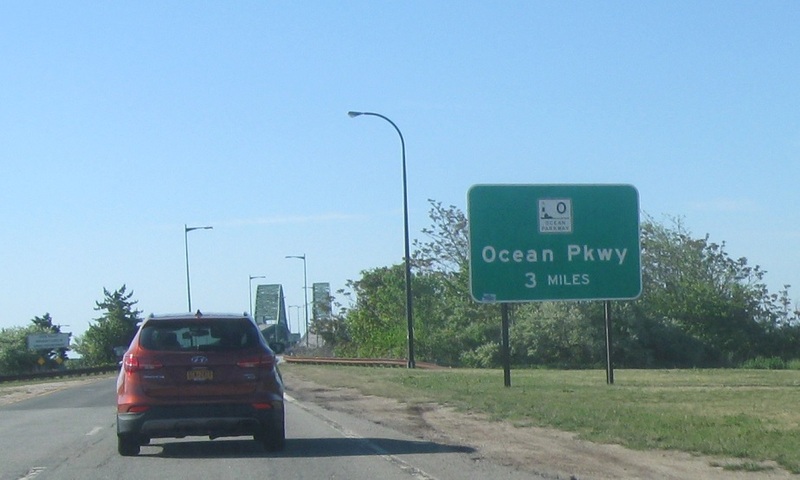 Exit ahead for the Ocean Parkway to Jones Beach. 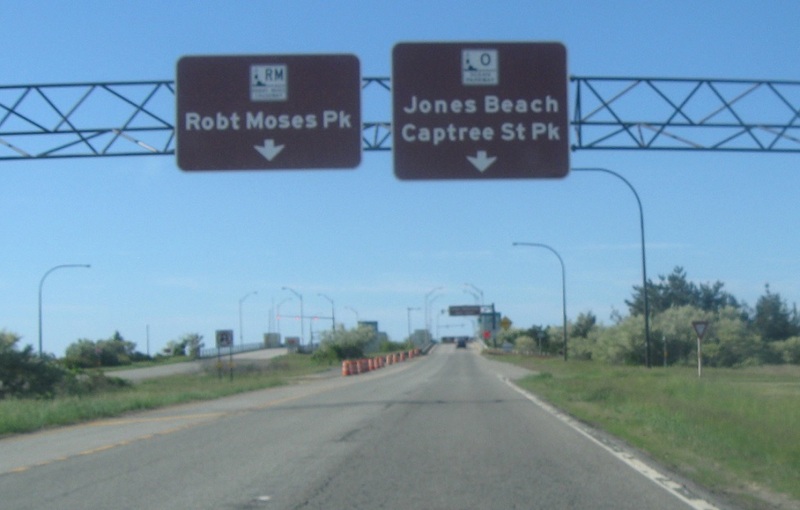 The Moses Causeway continues over another causeway to Robert Moses State Park on Fire Island. 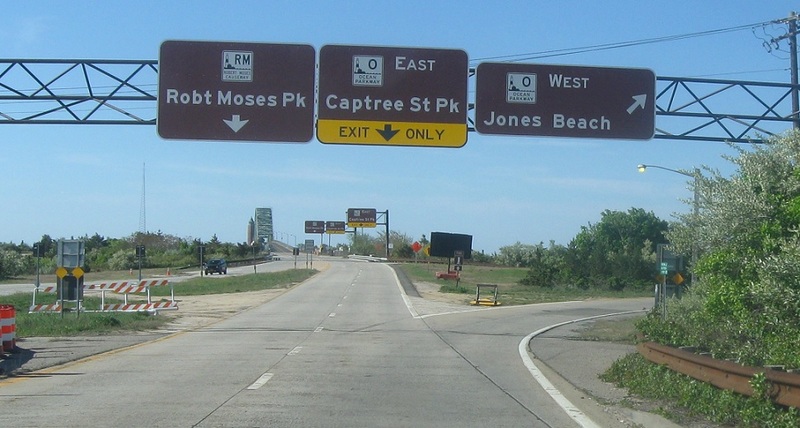 Exit for the westbound Ocean Parkway to Jones Beach. The eastbound Ocean Parkway dead ends at a parking lot just east of here. Stay straight for the RM Causeway to Fire Island.